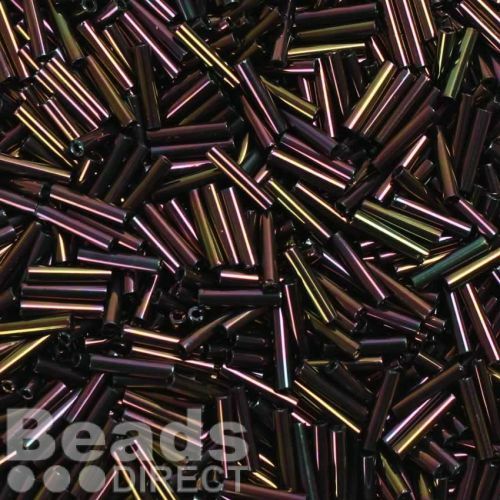 Metallic Iris Purple Bugle Size 3 Seed BeadThese beads come in a stunning purple colour, their metallic finish adds hints of gold and greens, and really makes them shine. They are tube shaped and 9mm in length, making them perfect as spacer beads. These Toho beads are made in Japan and are excellent quality.